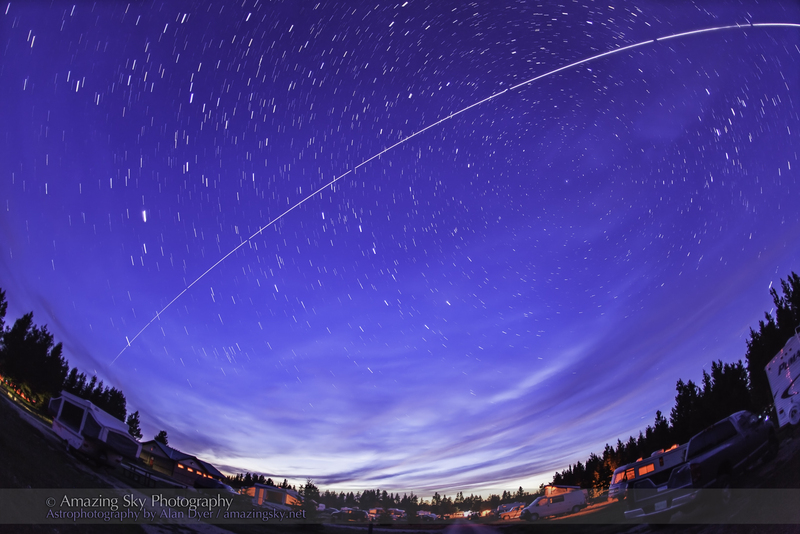 The Space Station flies over a campground of astronomers awaiting the fall of darkness. Last night was the main night for summer star parties, being a dark-of-the-Moon Saturday in August. 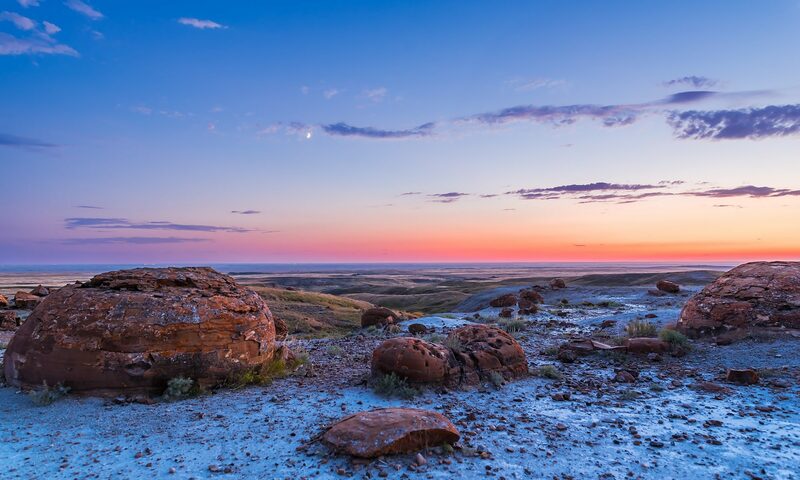 As I usually am each year, I was in Cypress Hills, Saskatchewan, attending the annual Saskatchewan Summer Star Party. About 330 attended this year, a near record year. The night was partly cloudy but stayed clear enough for long enough to allow great views. As the sky was getting dark the International Space Station flew over from horizon to horizon, west to east, passing nearly overhead. I had a camera and ultra-wide lens ready and caught the pass in 10 exposures, each 30 seconds long, here stacked in Photoshop. The accumulated exposure time also makes the stars trail in circles around the North Star at upper right. It was one of many fine sky sights hundreds of stargazers enjoyed this weekend at the SSSP, and no doubt at dozens of other star parties around the continent this weekend.